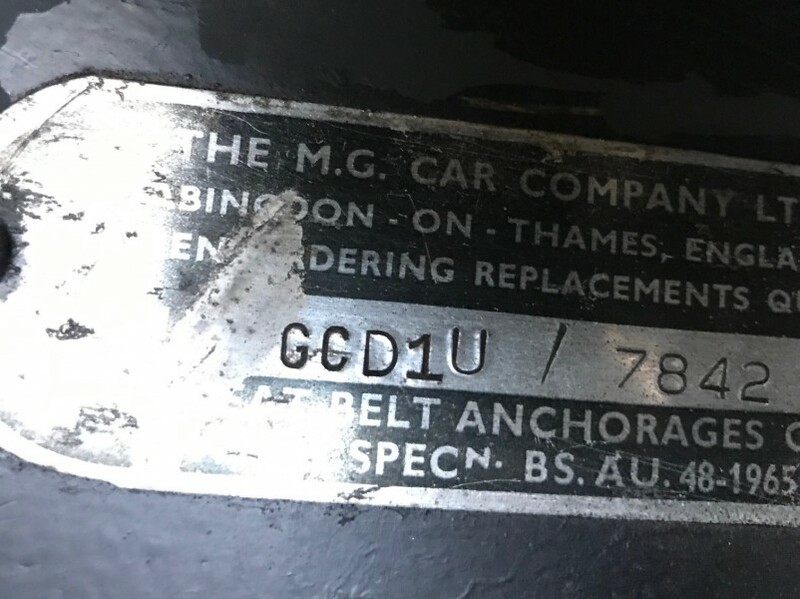 As confirmed by the accompanying Heritage Certificate, our matching numbers car was built in May / June 1969 and shipped to the USA as an LHD personal export in July 1969, the MGC was then returned to the UK in August 2017 to be registered DVG 781G. Following our acquisition of the car in 2018, we have carried out a considerable amount of work to the car at a cost exceeding £14000, details of which are available to a prospective purchaser, and are covered in brief in this description. The MG is both tax and MOT exempt. 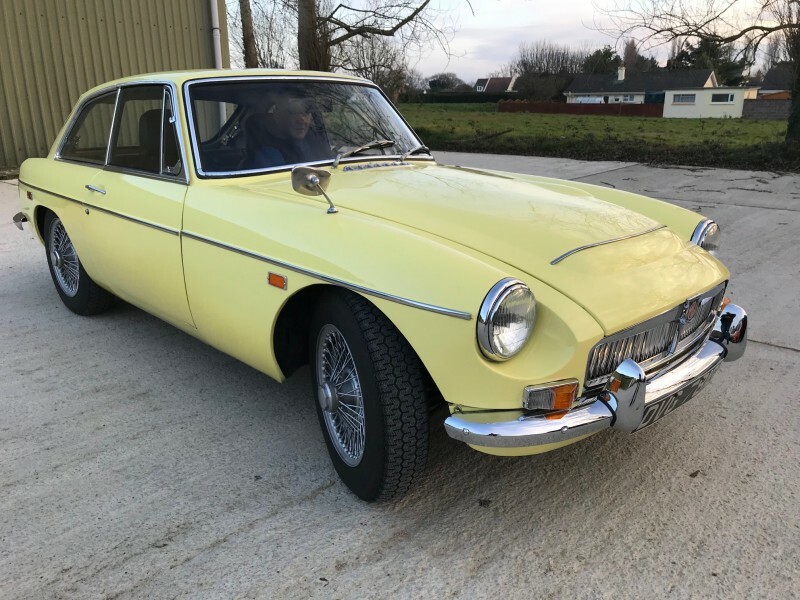 Introduced in late 1967, the MGC had a relatively short life span of only two years, the last models being made in 1969 with only 2034 RHD GT’s being produced. 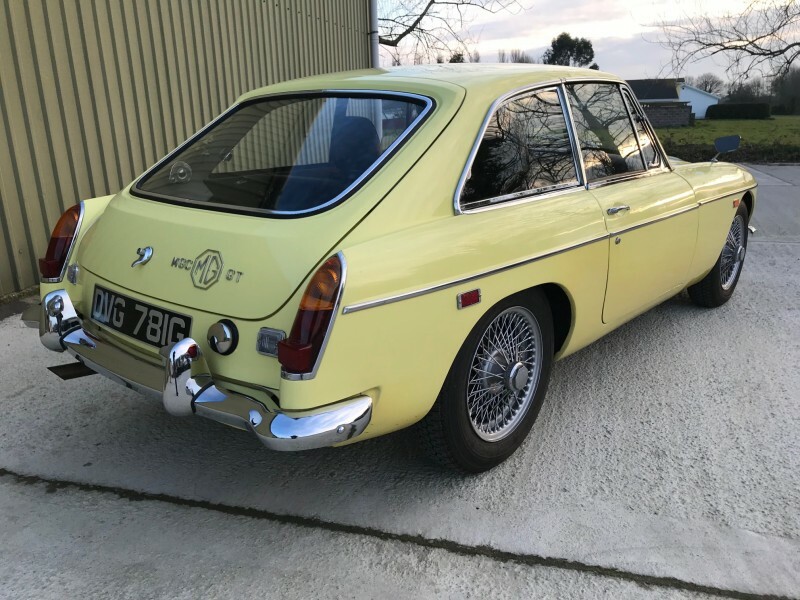 The UK's economic climate and escalating fuel prices eventually killed off the 3 litre MGC, with the last converted cars being sold by University Motor’s in 1970. 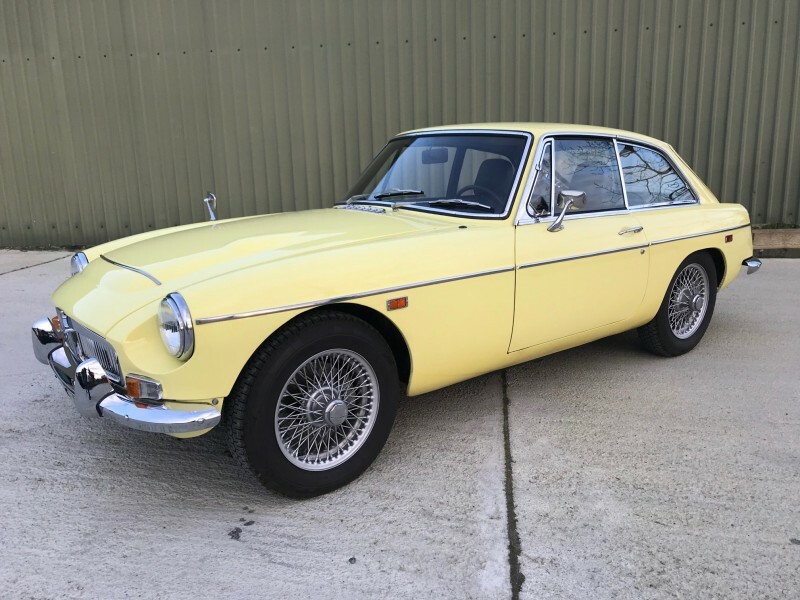 Within the last decade the full potential of the MGC has been recognised and it is ideally suited for further tuning to the 3 Litre six cylinder engine providing a powerful Grand Tourer. 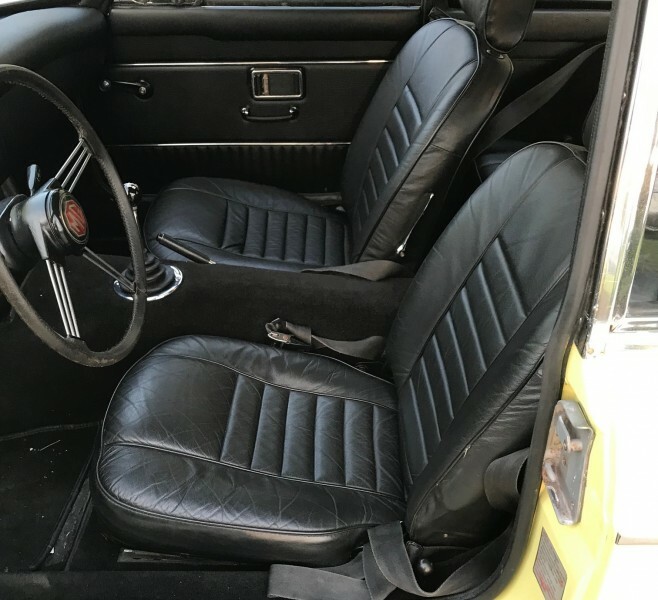 An extremely solid LHD MGC GT that has benefitted from extensive mechanical work, together with new leather interior and carpets. 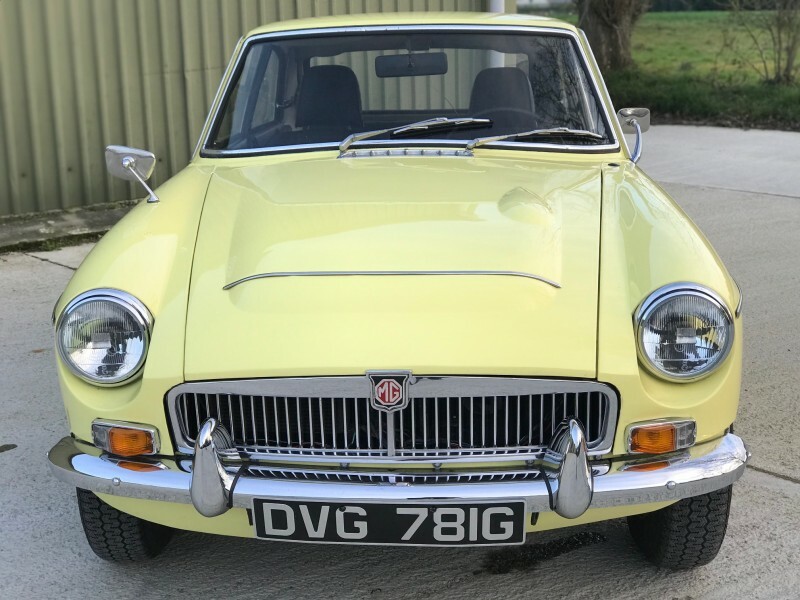 We have no hesitation in recommending this car to European buyers as it is ideally suited for use in European MG Club events and European rallies, it has been converted to LHD headlights. New Michelin XZX tyres are fitted and is now ready for the road. 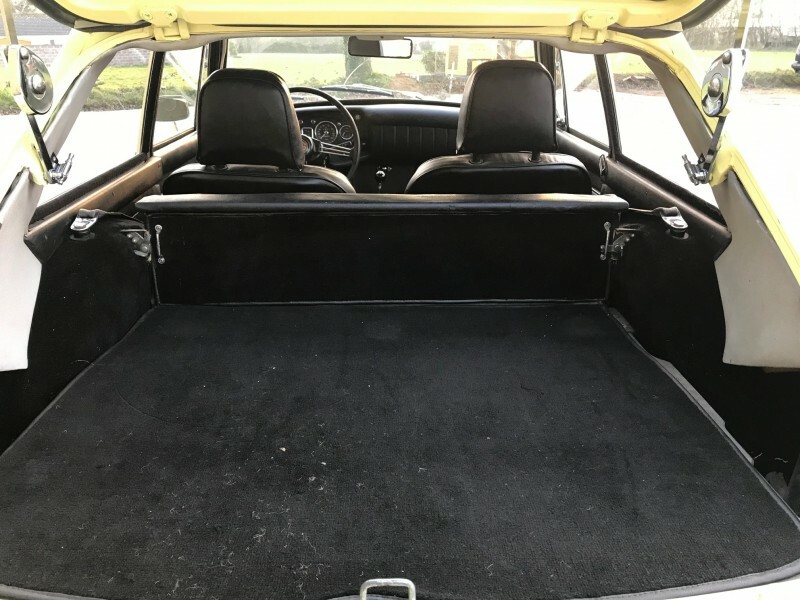 Finished in Primrose Yellow, the body work is very good condition and presents well, with new chrome bumpers, door seals, door locks, and clean engine bay with repainted engine. 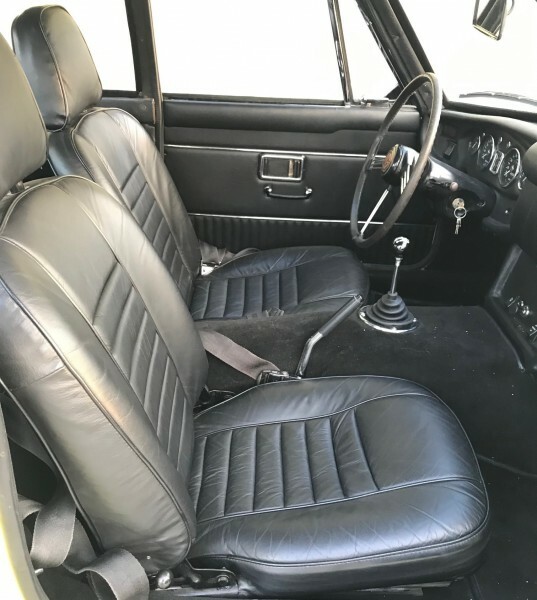 The interior has been fitted with new carpets, the seats have been recovered in black leather matching the original specification. On arrival in our workshops the MG was checked through to identify work that needed carrying out, in brief the following work has been completed on the car to bring it up to top condition. 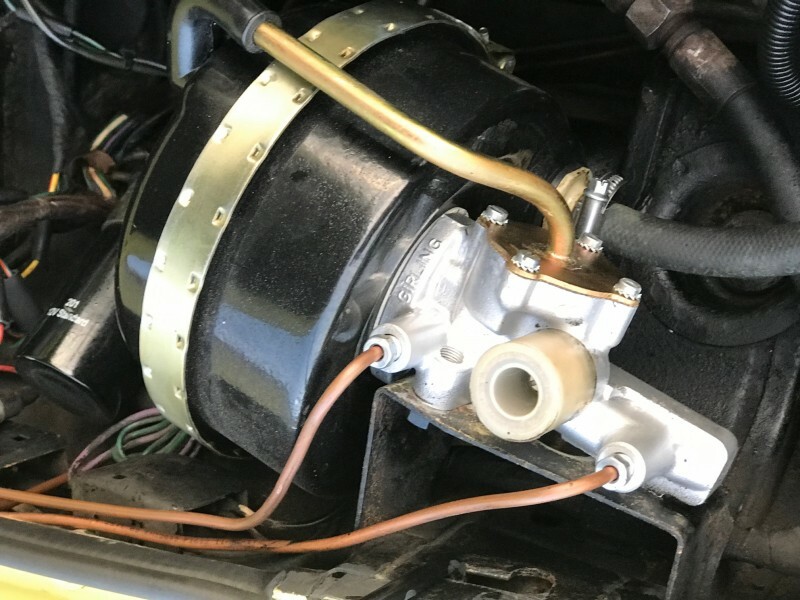 Transmission Gearbox rebuilt with new mounts and speedo drive New complete clutch unit, with hydraulics and spigot bearing New differential mounts Engine – New valve seals and head gasket, new S/S exhaust down pipes. 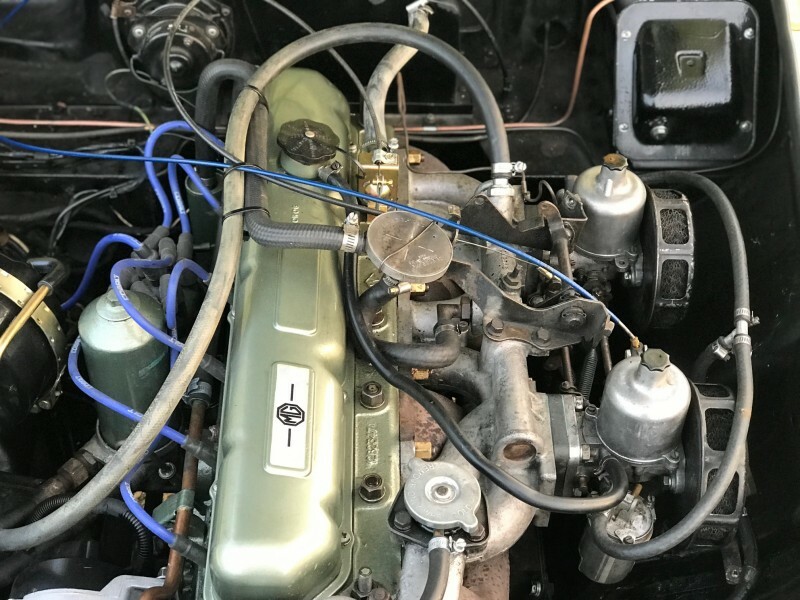 Electrics – New alternator, wiper blades Braking system extensive overhaul with new servo and master cylinder Suspension – New front shock absorbers, new front suspension bushes. 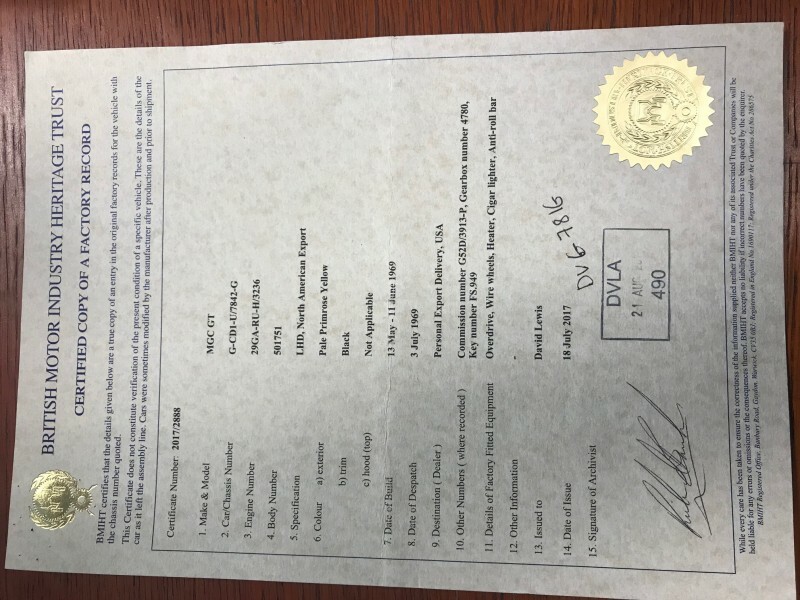 Oil change and service – Engine, gearbox and differential.